The Essex village of Newport is expanding, it is well situated for a main line station, local amenities and schools. 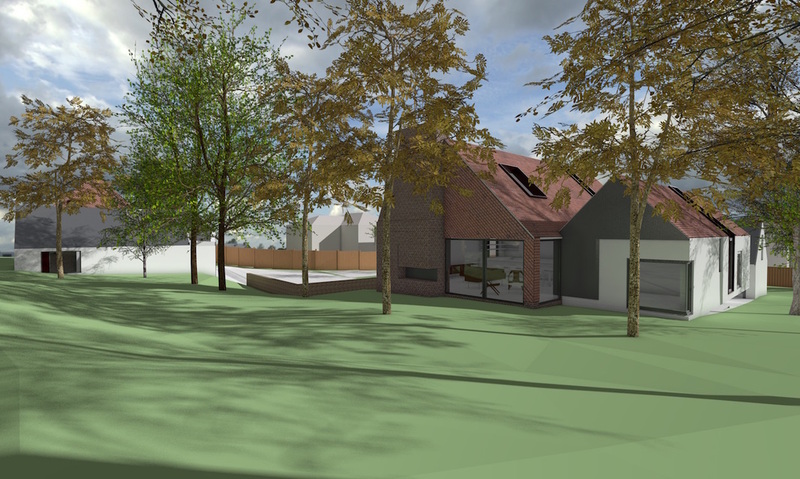 studio 24 were appointed following previously unsuccessful attempts at appeal to develop in the grounds of Bury Grove, an existing large house on the edge of the settlement. 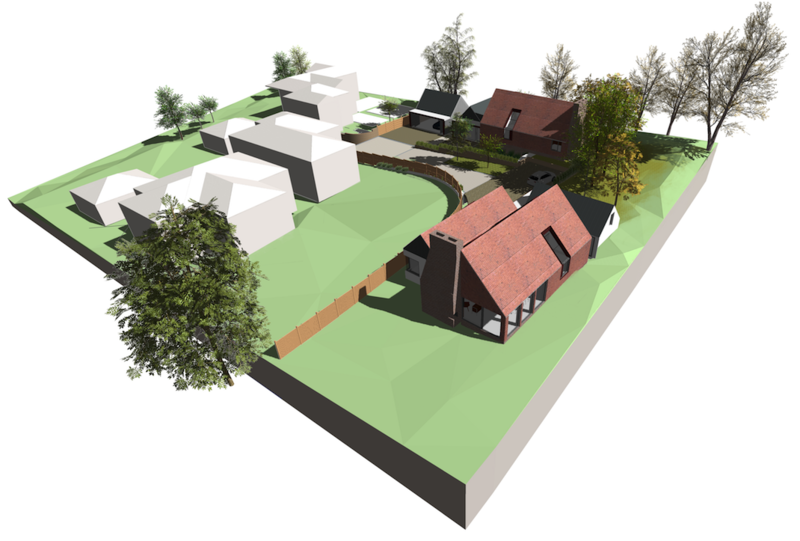 Our fresh approach proposed two large detached family homes (1x 5 bed and 1x 4 bed) that complement the local environment and character of the site and offer a high level of future flexibility. Each house consists of a cluster of small steeply pitched roof forms containing bedroom spaces, studio and garaging placed around a single larger pitched volume with an inhabited roof space, containing the main living area. All the main living spaces are at ground level, but split in section to accommodate the site’s natural slope. The steeply pitched roofs that reference the traditional vernacular of the area have large sloped roof lights that engage with lower level windows to create a modern interpretation of the traditional mono-pitched dormers found locally. The large open plan living spaces within each dwelling, with bedroom spaces astride on the same level, create a long term inherent flexibility. 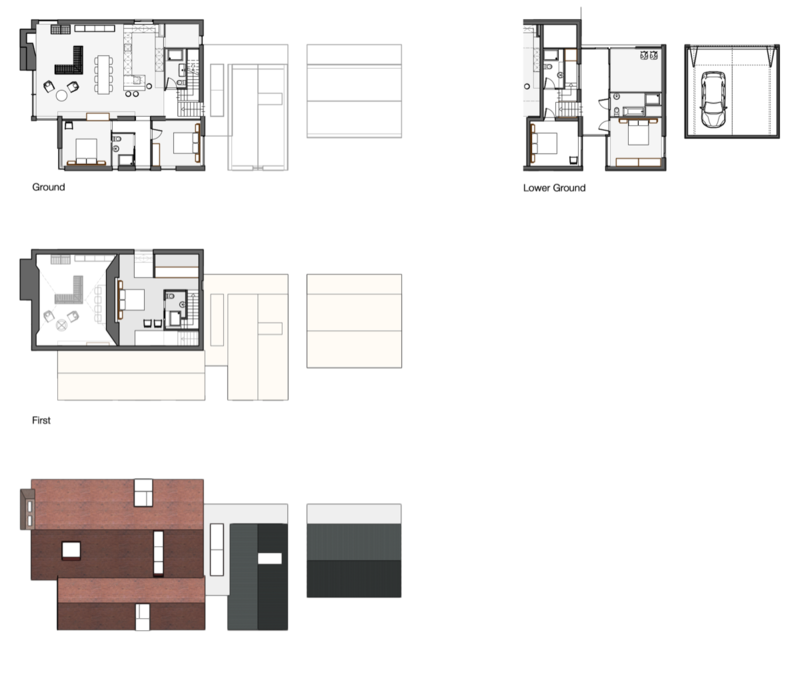 At entry level flexibility for future residents has also been considered, with a bedroom, separate bathroom and studio offering the ability for the house to accommodate future live/work arrangements or annexed accommodation to give an elderly parent or young adult a degree of independence. The built forms of the new houses carefully juxtapose a contemporary vernacular of rendered, brick and tile hung walls and roofs. These are complemented by subservient forms whose facades use agricultural reference materials, such as double boarded timber cladding and black opaque and translucent corrugated sheet. 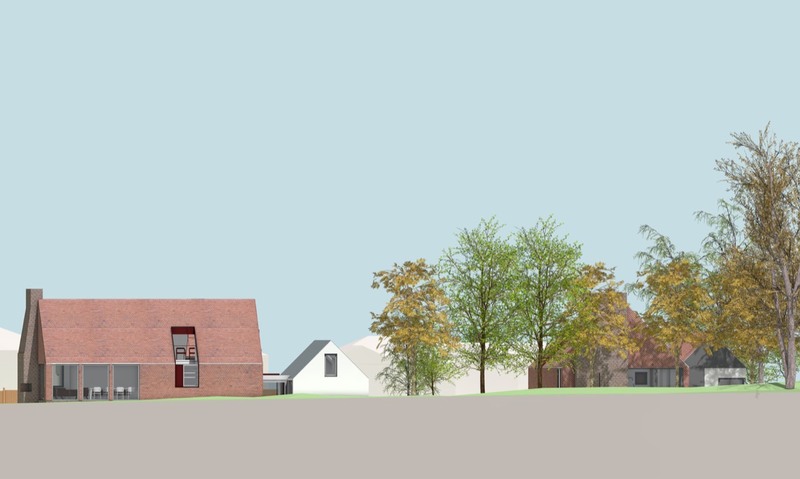 This vernacular aesthetic is further reinforced by bold red brick chimneys, that serve fire places within proposed open plan living spaces that double to also serve adjacent outdoor terraces.